Ali Kourani is a naturalized U.S. citizen from Lebanon who allegedly plotted on behalf of Hezbollah against U.S. government and military targets in New York City. According to the FBI, Kourani received training in Lebanon from Hezbollah’s Islamic Jihad Organization (IJO), the group’s division responsible for overseas operations. The FBI arrested Kourani in Bronx, New York, on June 1, 2017.“Bronx Man And Michigan Man Arrested For Terrorist Activities On Behalf Of Hizballah’s Islamic Jihad Organization,” U.S. Department of Justice, June 8, 2017, https://www.justice.gov/usao-sdny/pr/bronx-man-and-michigan-man-arrested-terrorist-activities-behalf-hizballah-s-islamic. In 2000, Kourani allegedly attended a 45-day Hezbollah training camp in Lebanon when he was approximately 16 years old. He allegedly learned to use AK-47 assault rifles and rocket-propelled grenade launchers. Kourani told the FBI that he was allowed to attend because he was related to a high-ranking Hezbollah official. Kourani also allegedly told the FBI that one of his brothers is “the face” of Hezbollah in the Lebanese village of Yatar, and that his family name is akin to the “Bin Ladens of Lebanon.” He traveled to the United States in 2003 using his Lebanese passport but returned to Lebanon soon after. Kourani fled to Syria during the summer 2006 war between Hezbollah and Israel and then returned to the United States.“United States of America v. Ali Kourani,” U.S. Department of Justice May 31, 2017, 10-11, https://www.justice.gov/usao-sdny/press-release/file/972421/download. The IJO purportedly recruited Kourani in early 2008. Kourani told the FBI that he believes the IJO recruited him because of his education and U.S. residency in order to use him as a sleeper agent.“United States of America v. Ali Kourani,” U.S. Department of Justice, May 31, 2017, 10-11, https://www.justice.gov/usao-sdny/press-release/file/972421/download. According to the federal complaint against him, Kourani allegedly met with multiple members of the IJO in Lebanon during his interview process. Kourani was allegedly assigned a handler known alternatively as “Fadi” or “Hajj,” who instructed Kourani to obtain U.S. citizenship.“United States of America v. Ali Kourani,” U.S. Department of Justice May 31, 2017, 12, https://www.justice.gov/usao-sdny/press-release/file/972421/download. After Kourani returned to the United States, he and Fadi would communicate over e-mail using coded messages, according to the criminal complaint against Kourani.“United States of America v. Ali Kourani,” U.S. Department of Justice May 31, 2017, 15-16, https://www.justice.gov/usao-sdny/press-release/file/972421/download. The FBI noted that Kourani’s passport showed that he traveled to Lebanon at least once a year between 2008 and 2015.“United States of America v. Ali Kourani,” U.S. Department of Justice May 31, 2017, 10, https://www.justice.gov/usao-sdny/press-release/file/972421/download. Fadi purportedly worked with Kourani until September 2015.“United States of America v. Ali Kourani,” U.S. Department of Justice May 31, 2017, 12, https://www.justice.gov/usao-sdny/press-release/file/972421/download. Kourani returned to the United States later in January 2008.“United States of America v. Ali Kourani,” U.S. Department of Justice May 31, 2017, 12, https://www.justice.gov/usao-sdny/press-release/file/972421/download. That August, he applied for U.S. citizenship, which he received the following April.“Bronx Man And Michigan Man Arrested For Terrorist Activities On Behalf Of Hizballah’s Islamic Jihad Organization,” U.S. Department of Justice, June 8, 2017, https://www.justice.gov/usao-sdny/pr/bronx-man-and-michigan-man-arrested-terrorist-activities-behalf-hizballah-s-islamic. Kourani wrote in his naturalization request that he had never belonged to or had any association with a terrorist organization or ever lied on immigration forms, which the U.S. Department of Justice would later use to charge him with naturalization fraud.“United States of America v. Ali Kourani,” U.S. Department of Justice May 31, 2017, 13, https://www.justice.gov/usao-sdny/press-release/file/972421/download. Within a week after receiving his citizenship, Kourani received a U.S. passport. That May, Kourani traveled to Guangzhou, China, where he allegedly visited a manufacturer of ammonium nitrate-based First Aid ice packs. The IJO has used these ice packs in terrorist operations, according to the FBI.“United States of America v. Ali Kourani,” U.S. Department of Justice May 31, 2017, 13-14, https://www.justice.gov/usao-sdny/press-release/file/972421/download. Kourani returned to Lebanon in July 2011 for weapons training at Hezbollah camps. According to information he gave the FBI, Kourani trained with rocket-propelled grenades, AK-47 assault rifles, an MP5 submachine gun, a PKS machine gun, and a Glock pistol.“United States of America v. Ali Kourani,” U.S. Department of Justice, May 31, 2017, 17-18, https://www.justice.gov/usao-sdny/press-release/file/972421/download. Fadi allegedly ordered Kourani to survey potential government and military targets in New York City. These included FBI offices in Manhattan, a U.S. Army National Guard facility in Manhattan, a U.S. Secret Service facility in Brooklyn, and a U.S. Army Armory facility in Manhattan.“United States of America v. Ali Kourani,” U.S. Department of Justice, May 31, 2017, 18, https://www.justice.gov/usao-sdny/press-release/file/972421/download. Fadi also allegedly directed Kourani to surveil New York airports and to cultivate contacts who could supply weaponry. Kourani also collected intelligence on former members of the Israel Defense Forces living in New York, according to the criminal complaint.“United States of America v. Ali Kourani,” U.S. Department of Justice, May 31, 2017, 19, https://www.justice.gov/usao-sdny/press-release/file/972421/download. The FBI alleges that Kourani used Google Maps to examine terminals at New York’s LaGuardia Airport and visited the websites of weapons retailers in search of body armor, uniforms, guns, and tactical equipment.“United States of America v. Ali Kourani,” U.S. Department of Justice, May 31, 2017, 20, https://www.justice.gov/usao-sdny/press-release/file/972421/download. The FBI further alleges that between January and May 2009 Kourani conducted several Internet searches on the 2006 war between Hezbollah and Israel, as well as Al-Manar, Hezbollah’s U.S.-sanctioned media arm. In January 2013, Kourani allegedly searched online for the phrase “if Hizballah was defeated,” which led him to an Al-Manar propaganda video featuring Hezbollah leader Hassan Nasrallah. Kourani later searched the names of Hezbollah operatives who had carried out international acts of terrorism.“United States of America v. Ali Kourani,” U.S. Department of Justice May 31, 2017, 14-15, https://www.justice.gov/usao-sdny/press-release/file/972421/download. Fadi allegedly asked Kourani if he could obtain employment at the Department of Motor Vehicles, but Kourani believe that would draw suspicion because of his educational background.“United States of America v. Ali Kourani,” U.S. Department of Justice, May 31, 2017, 19, https://www.justice.gov/usao-sdny/press-release/file/972421/download. 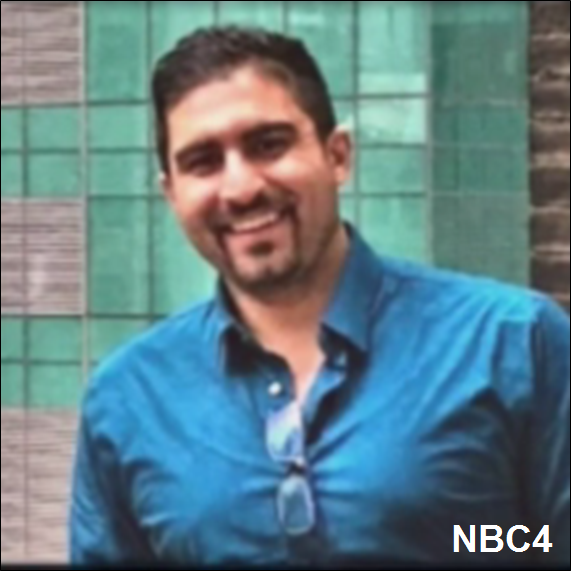 While allegedly working on behalf of Hezbollah, Kourani earned an undergraduate degree in biomedical engineering and a master’s of business administration.“United States of America v. Ali Kourani,” U.S. Department of Justice, May 31, 2017, 10, https://www.justice.gov/usao-sdny/press-release/file/972421/download. According to Kourani’s LinkedIn page, he received his engineering degree from City College of New York in 2009 and his MBA from DeVry University’s Keller Graduate School in 2013.Ali Kourani LinkedIn page, accessed June 14, 2017, https://www.linkedin.com/in/ali-kourani-5b7820b/. After finishing graduate school, Kourani worked at Metro PCS stores in Chicago, New York, and Greenbay, Wisconsin, according to his LinkedIn page. In March 2017, he took a position in New York City as an analyst with Integreon, an international legal and business research service.Ali Kourani LinkedIn page, accessed June 14, 2017, https://www.linkedin.com/in/ali-kourani-5b7820b/. Kourani claims the IJO deactivated him in September 2015.“United States of America v. Ali Kourani,” U.S. Department of Justice May 31, 2017, 12, https://www.justice.gov/usao-sdny/press-release/file/972421/download. According to the criminal complaint against him, Kourani met with the FBI several times in 2016 and 2017 for a series of interviews during which he identified himself as an undercover Hezbollah sleeper agent. Kourani allegedly agreed to the interviews in the hope of obtaining immigration benefits for his family, though the FBI denies such an arrangement.“United States of America v. Ali Kourani,” U.S. Department of Justice, May 31, 2017, 7, 11, https://www.justice.gov/usao-sdny/press-release/file/972421/download. Based on the information Kourani provided, the FBI arrested him in Bronx, New York, on June 1, 2017.“Bronx Man And Michigan Man Arrested For Terrorist Activities On Behalf Of Hizballah’s Islamic Jihad Organization,” U.S. Department of Justice, June 8, 2017, https://www.justice.gov/usao-sdny/pr/bronx-man-and-michigan-man-arrested-terrorist-activities-behalf-hizballah-s-islamic. naturalization fraud in connection with an act of international terrorism.“Bronx Man And Michigan Man Arrested For Terrorist Activities On Behalf Of Hizballah’s Islamic Jihad Organization,” U.S. Department of Justice, June 8, 2017, https://www.justice.gov/usao-sdny/pr/bronx-man-and-michigan-man-arrested-terrorist-activities-behalf-hizballah-s-islamic. If convicted, Kourani faces up to life in prison.“Bronx Man And Michigan Man Arrested For Terrorist Activities On Behalf Of Hizballah’s Islamic Jihad Organization,” U.S. Department of Justice, June 8, 2017, https://www.justice.gov/usao-sdny/pr/bronx-man-and-michigan-man-arrested-terrorist-activities-behalf-hizballah-s-islamic. Ali Mohamad Kourani“United States of America v. Ali Kourani,” U.S. Department of Justice, May 31, 2017, 1, https://www.justice.gov/usao-sdny/press-release/file/972421/download. Daniel“United States of America v. Ali Kourani,” U.S. Department of Justice, May 31, 2017, 1, https://www.justice.gov/usao-sdny/press-release/file/972421/download. Jacob Lewis“United States of America v. Ali Kourani,” U.S. Department of Justice, May 31, 2017, 1, https://www.justice.gov/usao-sdny/press-release/file/972421/download. Ali Kourani is a naturalized U.S. citizen from Lebanon who allegedly plotted on behalf of Hezbollah against U.S. government and military targets in New York City. 6/1/17: material support et al.